Perhaps a once in a life time opportunity will come across for those who admire western classical music when the ‘Midori Violin Studio Project’ comes to Sri Lanka. Led by Midori, one of the world’s foremost violinists, this pioneering ten-day project around Sri Lanka will include master classes, string workshops and concerts. The project is brought to you by the Premier Sponsor, Fairway Holdings, a leading patron of art and culture, and the Chamber Music Society of Colombo, (CMSC) celebrating its 10th anniversary. A leading concert violinist for over 30 years, Midori regularly transfixes audiences around the world, bringing together graceful precision and intimate expression that allows the listening public to not just hear music but to be personally moved by it. She has performed with the world’s top orchestras including the London Symphony, Staatskapelle Dresden, Mahler Chamber Orchestra, New York Philharmonic, Chicago Symphony, Atlanta Symphony, Orchestre Symphonique de Montreal, Cincinnati Symphony, Pittsburgh Symphony and Czech Philharmonic. In addition, she has collaborated recently with leading musicians such as Mariss Jansons, Peter Eötvös, Christoph Eschenbach, Daniele Gatti, Alan Gilbert, Susanna Mälkki, Kent Nagano, Robert Spano, James Conlon, Omer Meir Wellber and Paavo Järvi, among others. 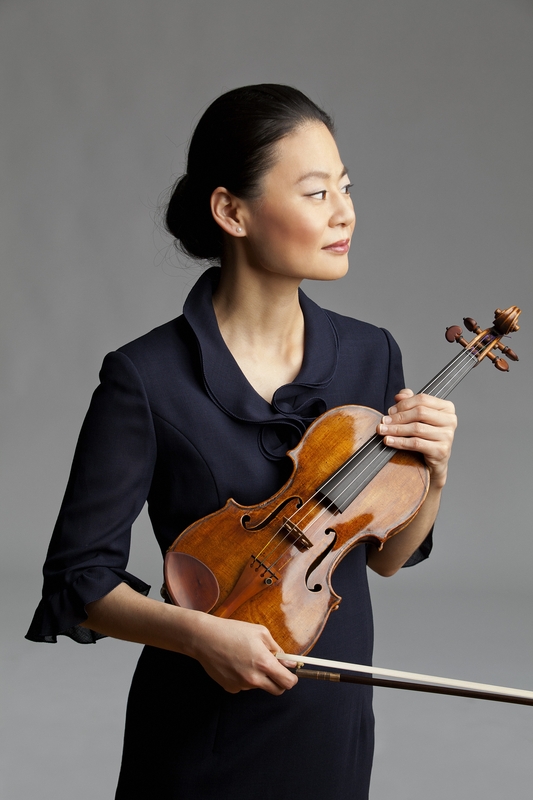 Midori debuted at the young age of 11 with the New York Philharmonic. Three years later she landed a front-page story in The New York Times which helped in the formation of a major international career. Her most recent recordings include a Grammy-winning CD, featuring her performance of the Hindemith Violin Concerto, with the NDR Symphony Orchestra, conducted by Christoph Eschenbach, a CD of Bloch, Janacek and Shostakovich Sonatas, and a new recording of the complete Bach Sonatas and Partitas For Solo Violin. Performing as Midori—first name only—she has spent her decades before the public in virtually every major international capital and cultural center, performing in a wide range of the greatest musical venues. Midori has built upon her fame by founding a series of successful not-for-profit organizations and other ongoing youth-directed projects. Midori & Friends, created in New York City in 1992, brings musical education to underprivileged children, in partnership with the city’s public schools. Partners in Performance, based in the U.S., and Music Sharing, formed in Japan, bring deeply committed music-making into smaller communities, those typically underserved by live arts presented at the highest levels. In recognition of such activities, the U.N. Secretary-General, Ban Ki-moon, named Midori a “Messenger of Peace” in 2007. In Sri Lanka, Midori, together with her nine-member team of musicians, will conduct workshops focusing on music students and teachers. It will commence with an orchestral workshop for the string section of Sri Lankan Youth orchestras. The Project will also visit numerous institutions for charity performances, with the aim of taking their music to those who normally would never have the opportunity to listen to world class music. The Project also envisages Midori and her team traveling to the North and South of the island and conducting workshops with young musicians of those regions. A special recital by Midori’s students will be presented at the Goethe-Institute on the 15th, and the Project will conclude with a concert at Lionel Wendt Theatre on the 17th March 2018, where all the musicians along with members of the CMSC will perform some outstanding repertoire such as the brilliant Octet for Violins, ‘Gran Turismo’ composed by Andrew Norman, and music by Ravel, Respighi, Chausson, Dvorak, Kreisler, Massenet, Liszt, Vivaldi and Corigliano.